Can Star Wars: The Force Awakens Conquer The New Year's Box Office? With all of the box office records Star Wars: The Force Awakens has broken so far, many are expecting this sci-fi adventure to continue dominating its competition well into the month of January. The final weekend of the year won't provide much competition for director J.J. Abrams' blockbuster, with The Hateful Eight expanding nationwide, but no other movies opening in wide release. 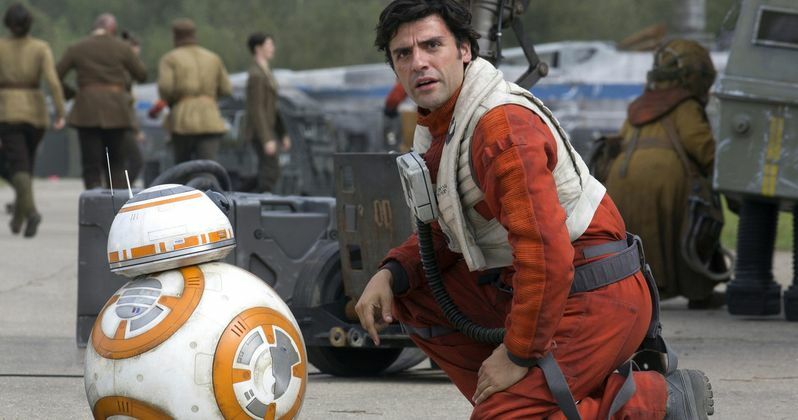 Star Wars: The Force Awakens will have no trouble holding on to the top spot, with an estimated $89.7 million. If Star Wars: The Force Awakens can meet or exceed this projection, it will break yet another box office record, shattering Avatar's third weekend record of $68.4 million. Avatar still holds the all-time records for highest domestic tally ($760.5 million) and worldwide gross ($2.7 billion). While it's certainly feasible that Star Wars: The Force Awakens could eventually break Avatar's all-time records, there is one thing to consider: Avatar spent much more time in theaters, and it posted minimal decreases from weekend to weekend. Still, given Star Wars: The Force Awakens' impressive numbers after just two frames in theaters, it still may have a chance to dethrone Avatar. Avatar opened with a decent $77 million in its opening weekend in 2009, but it dropped just 1.8% in its second weekend, earning $75.6 million. A minimal second-weekend drop like that is certainly rare, but not at all unheard of, and in the next three weekends, Avatar posted decreases of just 9.4%, 26.6% and 14.9%. The blockbuster even posted a 3.3% increase in its ninth weekend, over Valentine's Day. It wasn't until the movie's 16th week in theaters that it posted a decrease of over 50%, which is a standard drop for most tentpole blockbusters. Star Wars: The Force Awakens is on the right track by dropping just 39.8% last weekend, but it still has a long way to go. Another key to Avatar's success is longevity, playing in theaters for 34 weeks, from mid-December 2009 to the beginning of August 2010. Most movies aren't in theaters for that long, with this year's current box office champ, Jurassic World, playing in theaters for 23 weeks. Given the incredible fan support for Star Wars: The Force Awakens, it wouldn't be surprising to see it in theaters for more than 34 weeks, and if that happens, along with minimal decreases along the way, it could just break Avatar's record. The Hateful Eight posted a fantastic opening weekend over the Christmas holiday, taking in $4.6 million from just 100 theaters, earning a whopping $46,107 per-screen average. Following the one-week roadshow release, director Quentin Tarantino's Western opens nationwide on December 31, in approximately 1,800 theaters. The roadshow was initially slated to last two weeks, with the nationwide expansion set for January 8, but The Weinstein Company shifted the release earlier this month. We're predicting The Hateful Eight will jump to third place this weekend with $10.4 million, behind Daddy's Home in second place with $15.6 million. The top 5 will be rounded out by Joy ($9.8 million) and Alvin and The Chipmunks: The Road Chip ($7.2 million). Rounding out the top 10 will be Sisters ($6.1 million), Concussion ($5.3 million), The Big Short ($5 million), Point Break ($4.1 million) and The Hunger Games: Mockingjay Part 2 ($3.2 million). Opening in limited release this weekend are Anomalisa, Yosemite and Devil and Angel, although no theater counts were given for these indie releases. It isn't known if Anomalisa, Yosemite and Devil and Angel will be expanding nationwide in the first few weeks of 2016. The first true weekend of 2016 will be January 8, when The Forest and The Masked Saint will open in wide release. That weekend will also feature the nationwide expansion of 20th Century Fox's The Revenant, which scored a huge weekend in limited release over the Christmas holiday. The drama starring Leonardo DiCaprio, Tom Hardy and Domhnall Gleeson took in $474,560 from four theaters, for an astonishing $118,640 per-screen average. The Revenant will open in more than 2,700 theaters that weekend, so it should easily crack the top 5, and it may even give Star Wars: The Force Awakens a run for its money, but we'll have to wait and see. Until then take a look at the predictions for this weekend at the box office, and check back next week for the January 8 predictions.